This week, artificial intelligence (AI) reached a significant milestone. For the first time, Google's DeepMind unit beat the legendary champion of Go. Machines are now being built with self-learning mechanisms that simulate the neural network of the human brain. What does this mean for the future of AI and its ability to replace humans in the workplace? The future just got closer. Udacity is my response to the development of AI. The mission I have to educate everybody is really an attempt to delay what AI will eventually do to us, because I honestly believe people should have a chance. First, a little back story: In 2012, Thrun was astounded at the massive number of people signing up for his Stanford AI course online course: 160,000 in all, mostly from outside the United States. He quickly realized that online education has the potential to make learning affordable and reach millions globally. "Nothing has more potential to unlock a billion more brains to solve the world's biggest problems," wrote Tom Friedman in 2013. But of course, his and Thrun's rosy predictions couldn't happen overnight. The online learning business had some serious teething problems with high drop out rates, and dismal failure rates. But today, the future of online education is looking brighter. There are now hundreds of online education companies around the globe. In the U.S. the big three are: Coursera (a Stanford startup) which now boasts 15 million students; EdX (affiliated with MIT and Harvard) with over 5 million users; and Udacity, 4 million. 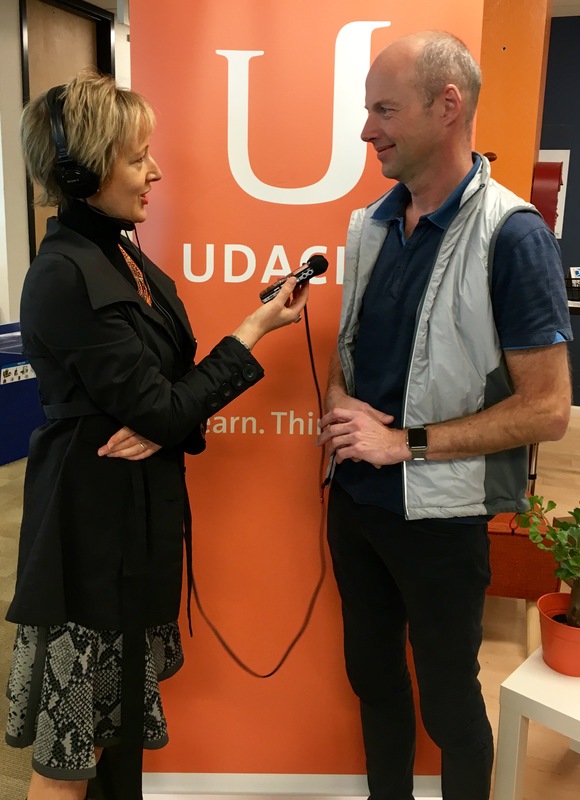 Since Udacity's high profile failure at San Jose State, the company has refocused its online courses and recently partnered with Google, AT&T and Amazon to design "nanodegrees" tailored to the needs of tech companies. Thrun is so bullish about the market value of these 4-12 month nanodegrees, which offer project based learning, that he's offering a money-back job guarantee. I think education has to shrink: We have to stop thinking of education as a four or six year investment you can only afford once in your life. We have think of education as a lifelong thing, to shrink the size of our degrees and make education a daily habit, the same way we brush our teeth every day. We have to redefine what education really means. Elite colleges like Stanford are extremely inaccessible. They're failing in their mission to provide access. The Udacity recipe is exactly the opposite - we want to reach everyone and have no admission hurdle. We want to be able to educate people. We do this today in Ghana, in Sub Saharan Africa, in Bangladesh, in China, around the world. If we do this, we can have a substantial impact on the world's GDP because so much talent is under utilized because of lack of education. If we give people in Syria the same chances as kids in America have, it's going to be spectacular. *To read more highlights of my interview with Thrun on Udacity's China expansion, his audacious 50-year vision for higher education, and my answer to the unicorn question, continue reading at Fresh Dialogues.